googled696ac2956d96bee.html Tucson's Best Vinyl and Leather Repair Company! "Quality Workmanship at a Fair Price"
"J&J Restoration is Tucson's most trusted Leather and Vinyl repair specialists." You need professional vinyl and leather repair, if you have scratches on your sofa or your favorite recliner is worn or discolored. 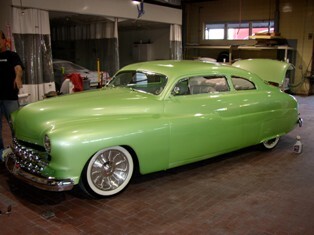 You're brand new or classic car has damage or wear! Your boat seats have tears or stains. Your child has accessorized your new car or furniture with a permanent marker! Your leather seats are beginning to crack or show wear and you want to preserve them and protect your investment! J and J Restoration can save you hundreds if not thousands of dollars in re upholstery or replacement costs!
" Recommended by new and used car dealer's, furniture stores and satisfied customers like you. 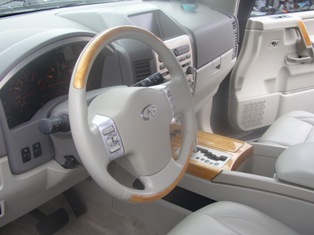 Offers complete mobile furniture auto leather and vinyl repair, plastic and vinyl repair, headlight restoration and much more. We use only the highest quality products and state of the art techniques and equipment. We take pride in our "spot on "color matching. Has served our customers for over 25 years with honesty, integrity, and quality workmanship. You're complete Satisfaction is always guaranteed! Fabric: burns, tears, holes, stitch repair, fading, stain removal, color restoration and panel replacement. Leather: burns. tears, holes, stitch repair, fading, stain removal, color restoration and panel replacement. Vinyl: burns, tears, holes, stitch repair, fading, stain removal, color restoration and panel replacement. Automotive Carpet: burns, tears, holes, heel pad installation, fading, red juice, coffee, soda stain removal, and dyeing. Headliners: tears, burns and stain removal. 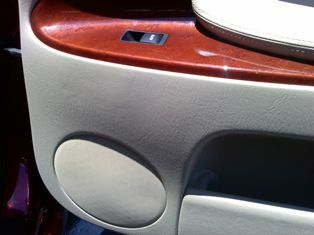 Dash or Console: dent removal, cracks, tears, burns, holes, scratches, color change, and color restoration. 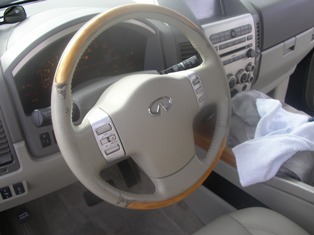 Steering wheel: scratches, tears, color restoration. Landau or Vinyl Tops: tears, burns, scratches and color restoration. 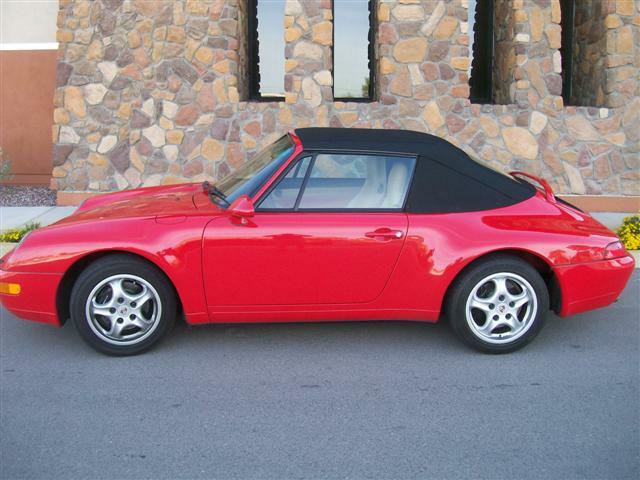 Convertible Tops: tears, burns, scratches and color restoration. Door Panels. 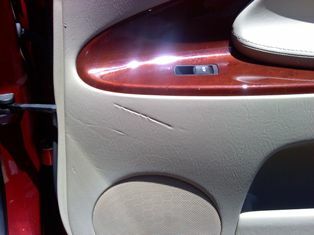 shoe marks, seat belt dent removal, cracks, tears, burns, holes, scratches, color change, and color restoration. Do you have scratched or yellowing headlights? These can be dangerous, as they greatly reduce your visibility and peripheral vision. They also refract light, blinding the on coming traffic. We can make them appear like new at a fraction of O.E.M. replacement cost. Many after market replacements fit poorly, or don't last long. Our process is state of the art and is fully guaranteed. Lease returns: Let us recondition your leased vehicle before you return it. Save big on fees and penalties the dealers charge! We are the guys they use before they sell them on their resale lots! We "dye to match" trim for custom applications, after market, and salvage parts or other replacement parts not available in your color. We often discourage color changes. However, sometimes its the best or only option available. Call us at ( 520-820-1467 ) to see if it is appropriate for your application. We do it better than anyone else! * WE SERVICE: AUTOS - BOATS - AIRCRAFT - RV'S - MOTORCYCLES - FURNITURE - HOME - OFFICE - RESTAURANTS - MEDICAL TABLES AND CHAIRS AND MORE!!!! We are a mobile service. All work done at your home or business. Licensed and insured. All work guaranteed. "I would strongly recommend J&J and help them in any way...J&J has been nothing more than an asset to my business. I find them to be professional and the quality is always near perfection. Throughout the years, they have saved me endless hours and lots of money." "I just wanted to send a quick note to let you know that it is a pleasure to work with Mitch and the crew. They are always professional and courteous, he answers my phone calls promptly or calls right back when the lines are busy. It is great to have a business that we can totally rely on."